On December 21, 1795, German historian Leopold von Ranke, one of the founding fathers of modern source-based history science was born. 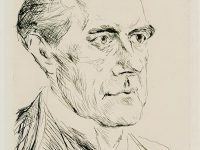 Building on the methods of the Göttingen School of History, Ranke set the standards for much of later historical writing, introducing such ideas as reliance on primary sources (empiricism), an emphasis on narrative history and especially international politics. “We do not have to judge error and truth par excellence. He rises up to us figure by figure, life by life, effect by effect. It is our task to penetrate them to the bottom of their existence and to present them with complete objectivity”. Leopold von Ranke was born in Wiehe, Thuringia, Germany, as the eldest son of the lawyer Gottlieb Israel Ranke (1762-1836) and his wife Friederike Ranke, née Lehmicke (1776-1836). As the son of an attorney, he was paved the way for a decent education. 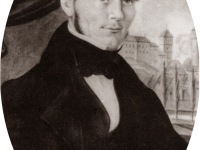 He attended the famous Pforta private school from 1809-1814. He studied theology and philology at the University of Leipzig from 1814 to 1818. From 1818 on, he was working as a high school teacher for Greek, and Roman classics in Frankfurt Oder. It was during his time there, when von Ranke seriously grew his interest in historical studies. 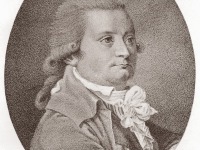 While in Frankfurt, he published his first book on the ‘History of Latin and Teutonic Nations‘ including a main chapter criticizing the common methods in the field of histography. Inspired by Barthold Niebuhr, a famous historian himself, von Ranke began creating his own methods like motivating scientists to use better resources and to improve the presentations of historical knowledge. Ranke is one of the founding fathers of a modern science of history. After the Prussian reforms (around 1810) and the founding of the first Berlin university under Wilhelm von Humboldt, the scientific concept of historicism became established. Historicism differed in its systematic and source-critical approach from the previous primarily philosophical view of history. On the basis of this approach, von Ranke provided a methodology that combined the old narrative history with the new scientific foundations (with increasing professionalization through the study of history). The historian therefore has the task of showing “how it actually was”. Ranke is concerned with the greatest possible objectivity in the rendering of history. In the second half of the 19th century, this characteristic trait of his histography led to the development of so-called “Neorankeans” in German histography. These include, among others, Erich Marcks, Max Lehmann and Max Lenz. In contrast to historians such as Heinrich von Sybel, Heinrich von Treitschke or Johann Gustav Droysen, who also see history with a daily political task, they stand on the methodological ground of Rankes. Nevertheless, they too are not unaffected by the other current. Objectivity in histography by no means stands for daily political neutrality. By the way, this also applies to von Ranke himself. His works had the most lasting effect primarily on the ProtestantReformation, the Roman Popes, English and French history in the 17th century. In the international histography of his time there are only a few who can compete with him. Among them are Jules Michelet and Thomas Babbington Macaulay. In 1824 he moved to Berlin and became an extraordinary professor at the university there. From 1827 to 1831 von Ranke travelled through the archives of the former Holy Roman Empire, including the Venice State Archives in 1829. In 1832 he was accepted as a member of the Prussian Academy of Sciences in Berlin. In 1834 von Ranke became a full professor at the university, in 1841 he was appointed histographer of the Prussian State by King Friedrich Wilhelm IV (the proceeds collected are published as Twelve Books of Prussian History, 1878/1879). For von Ranke, the aesthetics of language were just as important as the actual content. Some accuse him of being devastating and, in some cases, still having an effect today by accusing him of not distinguishing between literary form and intellectual discovery through his sophisticated language. In keeping with his importance, von Ranke had a large number of important pupils, who in turn formed their own schools. His oldest and probably most important Heinrich von Sybel for the development of German history should be mentioned here. Jacob Burckhardt, Carl von Noorden and Wilhelm Maurenbrecher also studied temporarily in Berlin with von Ranke. Rankes histography is essentially political state history. The persons appearing have some political significance. The exploration of the world of states is the essential thing for him. The social aspects, such as those of the lower social classes, usually do not appear in his work. 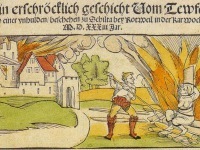 One of the few chapters in his histography, where they enter history so radically that they cannot be ignored, is devoted to the topic of the German Peasant’s War. This view of history is particularly reflected in the history of the Protestant Reformation and the 17th century. But it also has consequences for the history of the 19th century. At the end of the 19th century, the so-called Rankeans and Karl Lamprecht had a dispute over the methods of historical science, which was actually less a matter-of-fact dispute than a denigration of Lamprecht’s new approach. Von Ranke’s efforts did not stay unnoticed. He earned himself a professorship at the University of Berlin, an important milestone in Leopold von Ranke’s career since his relationship with the university was long lasting and doubtless fruitful. He met Friedrich Carl von Savigny and followers of the philosopher Georg Wilhelm Friedrich Hegel, who influenced von Ranke critically. Also, he was allowed to access the Prussian Royal Library from then on, important for his historical studies. After publishing a further book, this time concerning the Spanish monarchy and the Ottomans, he was allowed to access archived material in Vienna and Italy. It was in Vienna where the friendship of Friedrich von Gentz and the protection of Klemens von Metternich opened to him the Venetian Archives, a fresh source, the value of which he first discovered; it is still not exhausted. He found time to write a short book on Die Serbische Revolution (1829) from material supplied to him by Vuk Karadžić, a Serb who had himself been witness of the scenes he related during the First Serbian Uprising in 1804. This was afterwards expanded into Serbien und die Türkei im 19 Jahrhundert (1879). Before publishing further works on the History of Europe, Leopold von Ranke spent some years from1832 to 1836 writing historical-political texts for a magazine, the Historisch-politische Zeitschrift, which highly improved his abilities as well as his reputation. Ranke, who was a conservative, used the journal to attack the ideas of Liberalism. In 1841, his fame in its ascendancy, Ranke was appointed Historiographer Royal to the Prussian court. On 22 March 1865 in Berlin he was elevated to Prussian nobility. In 1871 von Ranke stopped teaching because he was visually impaired, but continued to work resolutely on his work: he began to rework and supplement older works in order to publish all his works. At the age of 80 he began to dictate his world history, of which a volume appeared annually from 1881 and which was supplemented from his notes after his death. In 1885 Ranke was appointed honorary citizen of Berlin. Leopold von Ranke, who was called “the greatest German historian“, “the Father of the objective writing of history“, and “the founder of the science of history” passed away on May 23, 1886, at age 90. At yovisto academic video search, you may enjoy a discussion on Leopold von Ranke as well as his achievements by the historians Gareth Millward, Martin Moore, and Linda Briggs.